Constantly losing website traffic and visitors can worry an entrepreneur like nothing else. Because if people are not even coming to your website in the first place then how will you persuade them into buying your product or avail themselves of your services? Analyse what is causing this decrease in your traffic. Have you checked your email marketing analytics? What about your social media and content strategy? No matter what you do, lost website traffic still burdens your business? Well, it seems you are stuck in a cul-de-sac. But don’t panic. Don’t forget that Google updates its algorithms between 500 and 600 times a year – and that doesn’t even cover the major updates. What are the possible reasons that might have led to lost website traffic and visitors? Maybe it is just a seasonal lull so there’s nothing to worry about. Sometimes such problems occur when you update your website. Were there any server downtime issues, network problems or any power failure? Probably Google has recently updated its algorithm and this drop is temporary. 1. Have You Checked Your Tracking Code? 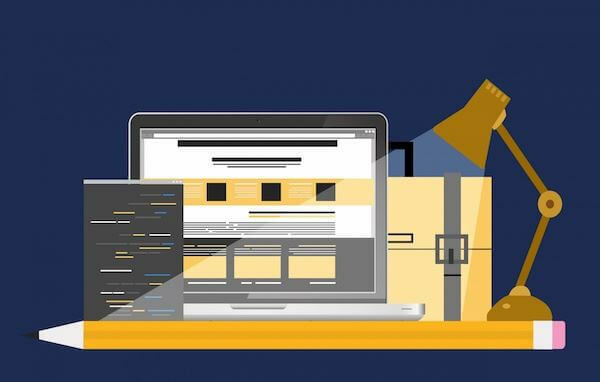 If you have recently tampered with your website then there are some chances that you have tweaked some important code. Or probably you have accidentally deleted your tracking code. Don’t think that just because you are using marketing automation tools or Google Analytics you are free from this problem. Always double check to make sure that you are receiving accurate performance data from your entire website. It may sound obvious to you, but you will be surprised how often people tend to overlook this minuscule anomaly. You are continually making your website SEO friendly but something is still going wrong. Perhaps lost website traffic is a result of too many toxic links. And ever since the Penguin update, Google doesn’t spare such things, hence, a steady decline in your website’s traffic. There are some shady referral links that you might not want your website to be associated with. You can easily look at your referral traffic in your Google analytics page or any other tool you are using. The simplest way to discern whether a backlink is toxic or not is by finding out their origin. Spam sites and sites that are solely created for link building. Sites that are not indexed by Google. If a site is inflicted by a virus or malware then it is a sure sign of toxic backlink. Now that you know where the things are going wrong, you should take immediate action to remove them. Contact the Site Owner – One way is to simply contact the webmasters of these sites and request them to clear up the referral links. Disavow these links – Submit a disavow file to Google asking them to not take these links into consideration. However, by simply denying association you cannot get away with Google Penalty, you still have to remove each and every toxic backlink manually. Now that you have cleaned up your website’s backlinks, you should again send a reconsideration request to Google. This way you can outline the steps that you took to rectify the issue and ensure that you will make sure to abide by best SEO practices in the future. Like a good trailer lures in the viewers to watch the movie, it’s the compelling blog headlines that will lure the readers to open up your content. And even Google will rank you better if you are writing catchy headlines. The right length and characters. Relevant to the content of the post. Compelling enough for people to click on them. You can use tools like Yoast SEO to check whether your title is appropriate for SEO or not. And for keyword research, you can use Google Keyword Planner. 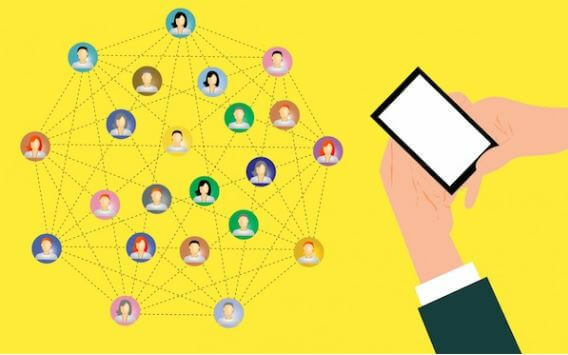 Social Media is the gateway to massive traffic – all you need to do is to ensure you are using the right channel as per your niche. The problem occurs when marketers mindlessly share content on social media without paying attention to how it will look to the viewer. Don’t commit this grave mistake of overlooking the fact that social media posts appear differently on a different platform. Therefore, optimize them according to a different platform. Don’t shy away from some research so that you can start generating huge shares, lives, and traffic. People don’t open their social media accounts to be inundated by a barrage of ads. If your content is 80 percent ads and 20 percent organic, then I’m sorry to say, you are turning your customers away. Instead, go by the rigid Pareto Rule, also known as the 80/20 rule. This means, your content should be 80 percent organic, relevant and productive whereas 20 percent promotional. Furthermore, avoid being spammy. I have seen a lot of people re-posting their content again and again because it didn’t get enough response the first time. But what makes you think that doing this will result in better response? If anything, people might end up unfollowing you. You should have a clear schedule which tells your audience when to expect your posts. This schedule keeps you organized and avoids too much sharing as well as too-less sharing. You can integrate your social media channels by providing easy social sharing buttons. As an added bonus – when your audience shares your content on their website, you get exposure from their audience as well. Before posting your content on every social media channel you can get your hands on, ask yourself – “Where are my customers?” And “What channels are my competitors using?” Do some research and document these trends. Now that you know where your target audience is and what platforms your competitors are leveraging, forsake all other channels and invest your time, energy and money in those channels only. In this time and age, you cannot ignore social media marketing neither can you afford to do it wrong. Use the above steps to launch a winning social media marketing campaign. Your domain authority matters a lot when it comes to your search engine rankings. Your DA could be the reason for your lost website traffic. It’s calculated by the frequency of new pages published, number of pages, number of outbound and inbound links and quality of links, among other parameters — and it’s so influential that Google weighs it in the algorithm. Why it is unavoidable? When your domain authority is high then Google knows that yours is a quality website. However, when Google sees your authority dropping then it takes it as a signal that your quality might also be dropping. Thus, you want to keep a regular check and make constant adjustments to maintain your domain authority – by adding more content of high quality together with adding inbound and outbound links. 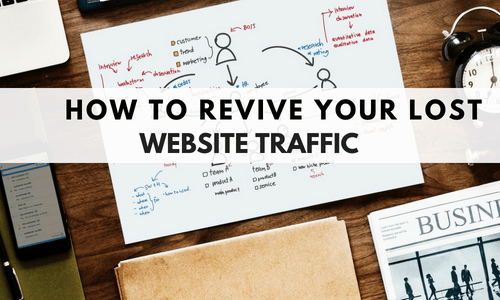 These were some useful and not to say, simple tips that will revive your lost website traffic and visitors in a jiffy. But even after you are done with these steps, keep your guard up as you might never know when Google comes up with a new update or algorithm. What tactics are you using to revive your traffic? About the Author: Deepti Jain is an engineering student who has a knack for writing and is currently working at AeroLeads at the post of Content Writer.